2001. Watercolor, ink, color pencil. 6 x 7½"
I’m a New Yorker living in Minnesota. 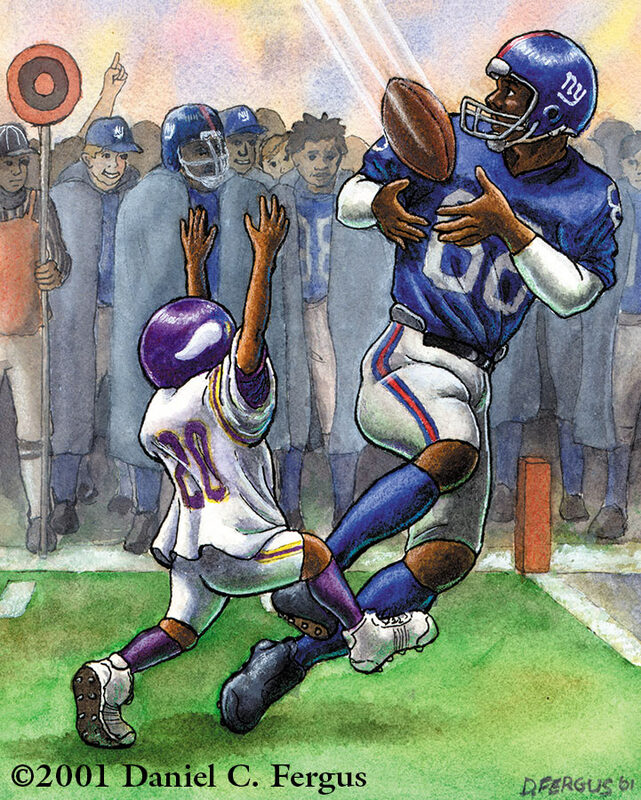 The 2001 NFC Championship game was a match-up of my two favorite football teams: the Giants & Vikings. I was looking forward to a good, hard fought, exciting game. The Giants won 41-0 (or as Vikings’ receiver Randy Moss put it, "41-doughnut"). The Vikings looked confused, overmatched, and completely overwhelmed. It was like watching children trying to compete with adults.